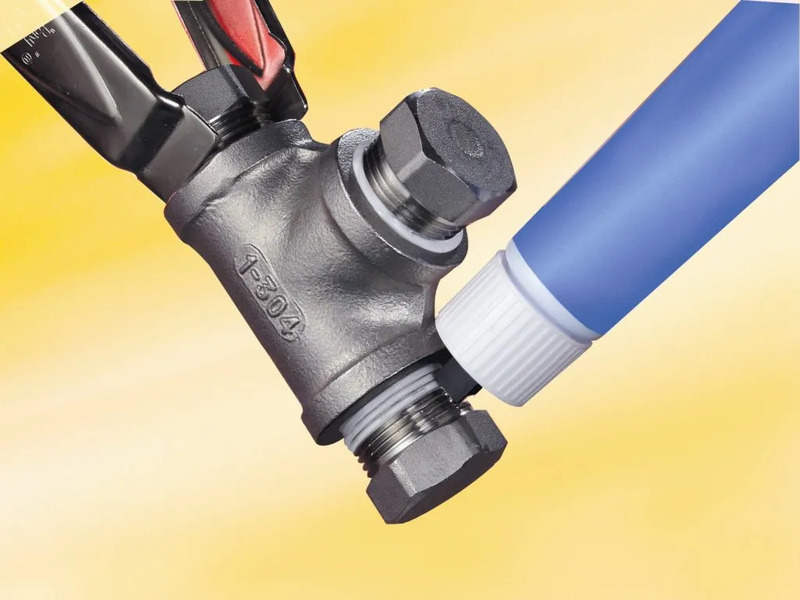 Anaerobic thread sealants (pipe sealants) are great for filling the space between metal threads to provide an instant permanent seal, preventing any liquid and gas leaks. For anaerobic adhesives and sealants to cure, they require the presence of metal ions and the absence of oxygen. This may sound simple however there are some issues that can affect the curing of the thread sealant. Paint and coatings such as PTFE tape (Teflon® tape) can block the contact between the metal and the thread sealant. This makes it difficult for the sealant to cure and can result in a leak. The sealant at the centre of the gap may have difficulty curing if the gap exceeds 0.5mm (0.020 in.). The sealant isn’t close enough to the metal to cure. You should always check the maximum gap on the product datasheet. Pipe sealants can cover the metal ions. Pipe joints sealed with low-strength sealants can be dismantled. A hot air gun or blow torch can be used to heat the parts which will make it easier to disassemble. Prior to reapplication, the pipe joints should be cleaned with a wire brush. When the thread sealant is contained in the threads, the oxygen becomes excluded. Apply the sealant several threads back from the leading edge of the male component to ensure maximum contact. In both applications, there should be some excess sealant still visible after tightening. This ensures there is complete all round coverage and no leaks. The excess sealant can be wiped away. The anaerobic thread sealant should have cured within the joint. 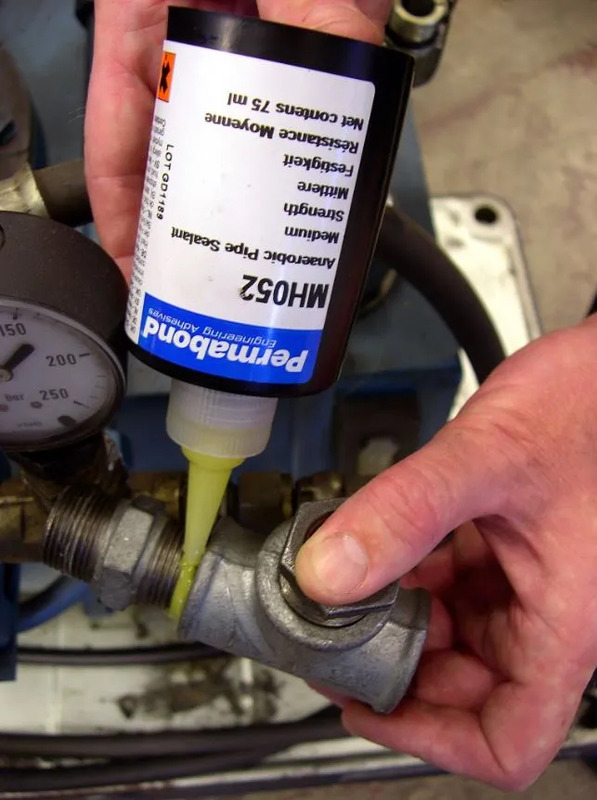 This guide can be applied to all anaerobic adhesives and sealants for threadlocking, retaining and FIP gasketing. Permabond is one of the leading manufacturers of anaerobic adhesives and sealants (threadlockers, retaining compounds, pipe sealants and gasketing adhesives), cyanoacrylate (instant adhesive), acrylic and UV-curable adhesives (glass bonding).